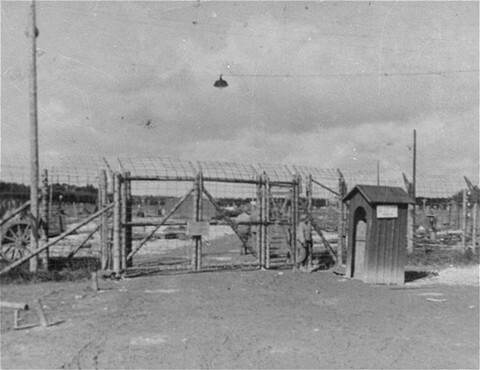 The entrance gate to Kaufering IV subcamp of Dachau. This photograph was taken after liberation. Near Landsberg, Germany, after April 28, 1945.